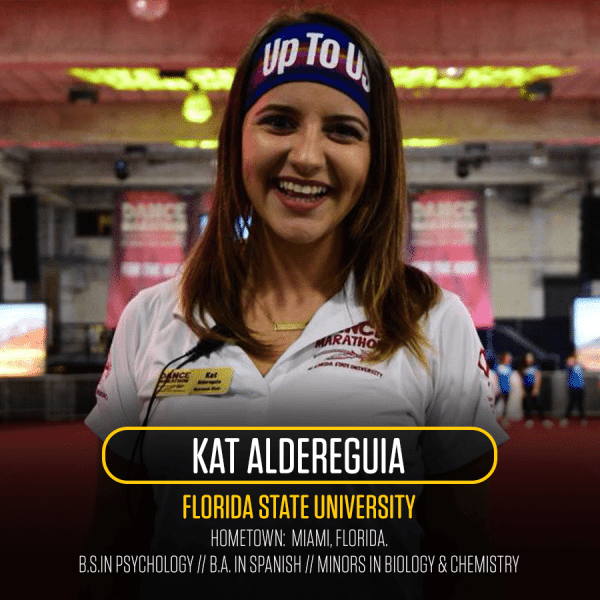 Dance Marathon Involvement: Over the course of my 4 years involved with Dance Marathon at Florida State University I have collectively raised $8,139.37 and served as the Outreach Chair on the Executive Board as well as Alpha Omicron Pi Sorority’s Delegate. My reason for participating in Dance Marathon grows every single year. The primary reason for why I got involved in this movement is because of my younger brother Nicolas, who was diagnosed with autism at the age of two. My passion and love for caring for every single person I come across has stemmed from my love and acceptance of my brother with a disability he has no control over. He is one of the main reasons why I have a desire to go to medical school–to help children like my brother and to help others understand how to love and accept children like him. Helping give these kids the love and childhood they desire and deserve is all I could ever hope for. Getting to be a part of these miracle families’ lives and becoming a part of their families is the greatest blessing. These parents just want some normalcy for their child and I cannot imagine the pain they feel having no control over the health of their child. If I could be that sense of normalcy for that child and family, simply making a child laugh, playing their favorite game, making them feel loved and wanted, and just being able to help ease their mind from all the medications, check-ups and hospital visits, then I will be that person for them. I participate in Dance Marathon to fight for the kids who are fighting for their lives and they should not have to do it alone. Dance Marathon has helped shape the person I am today. Year after year, you see the amazing leaders that come before you and you hope and dream that you can be like them one day. That dream came true. I think the greatest impact was the people I was surrounded by. I have had the opportunity to work alongside some of the most passionate and inspiring people in this organization and having people who believe in you and support you every step of the way is what gives you the confidence to believe in yourself, knowing that you can do anything you put your mind to. I fully believe that what you put in to something, something great will come out of it. I have developed patience, independence, learned how to delegate and lean on others if needed, flexibility, and confidence in myself and I could not do it without the individuals involved in this movement. Kat with the 2018 graduating seniors from the DM at FSU executive board. A personal accomplishment I am most proud of is having served as the Outreach Chair on the Executive Board for Dance Marathon at FSU this past year. I was in charge of creating our brand new freshman leadership program, called InspiratioNOLE Leaders (INLs), encouraging over 60 freshmen to get involved with this organization. I also helped restructure our new alumni program to remind our alumni why they chose to get involved during their undergrad and encourage them to come back to a cause that means so much to them. I think the most challenging part of my position was handling two very large and different groups of people: the freshmen, who are new to college and may have absolutely no idea what Dance Marathon is, and the alumni, who may have been involved with our movement for years and now are going on to fulfill their career goals. One of my goals for the INLs was to help them find their place in this movement. Seeing their eyes filled with tears and big smiles on their faces after total reveal is something I will never forget because that is when it clicked. The moment they knew they gave it their all, all year and it showed when that large number was lifted at total reveal. To this day, I receive several messages from them asking to meet with me and talk about what more than can do to be involved and what they should apply for next year. It brings me so much joy to hear from them because I know that my love for them and my goal in helping them find a love for this cause finally came true. I wanted to be that person for them who believed in them and saw something in them to be the best version of themselves and future leaders in this movement. The inaugural group of INLs raised over $58k, reaching individual fundraising milestones left and right, from comma club to $2,300 club. 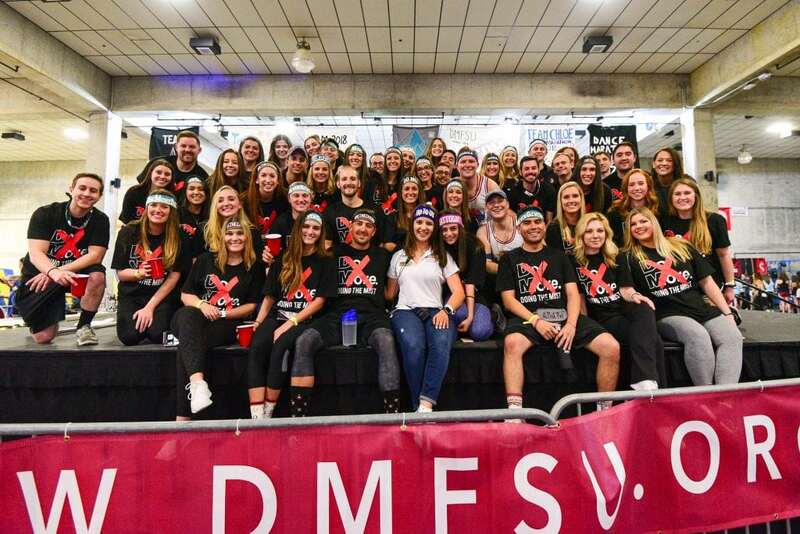 When the alumni came from all over the country to attend our Dance Marathon event, it was truly inspiring to see them rejoin our movement and it made me excited to join the alumni team next year. They are the reason for the energy in that room–it radiated to every dancer to keep pushing and keep fighting. The year prior, about 20 alumni attended our marathon and raised $27k. 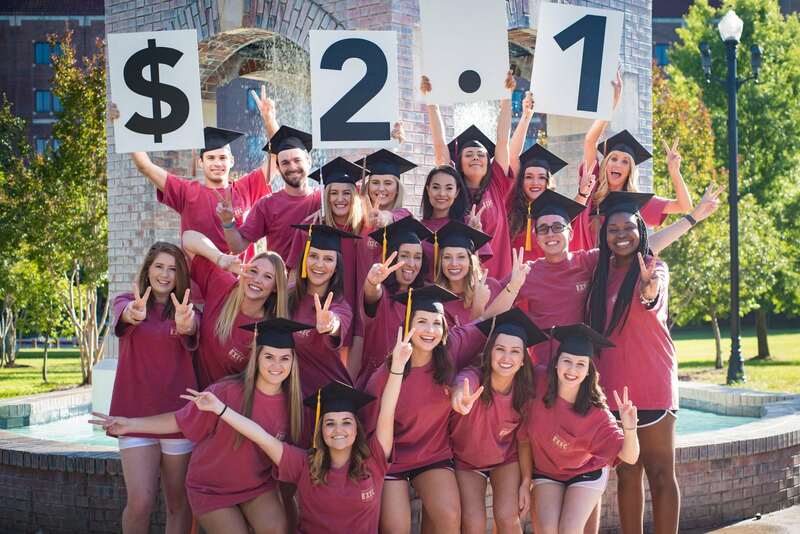 This year over 50 alumni attended our marathon and raised over $53k, the most they have ever raised in DM at FSU history.I am someone who values relationships and the countless friendships I have made within this organization, especially with the INLs and alumni, and it is something I am forever indebted to this organization for. Kat with several of the InspiratioNOLE Leaders reacting to the fundraising total reveal. If you have a desire to grow as a person and as a leader, be surrounded by some of the most inspiring and incredible students on campus, or find a home away from home, then Dance Marathon is the place for you. Every single member of this movement has a purpose, whether you are a volunteer, a fundraiser, a dancer, etc. Everyone has a place in this organization. If you want to make a difference in the lives of those in your local community and nationwide and have fun doing it, then join Dance Marathon. 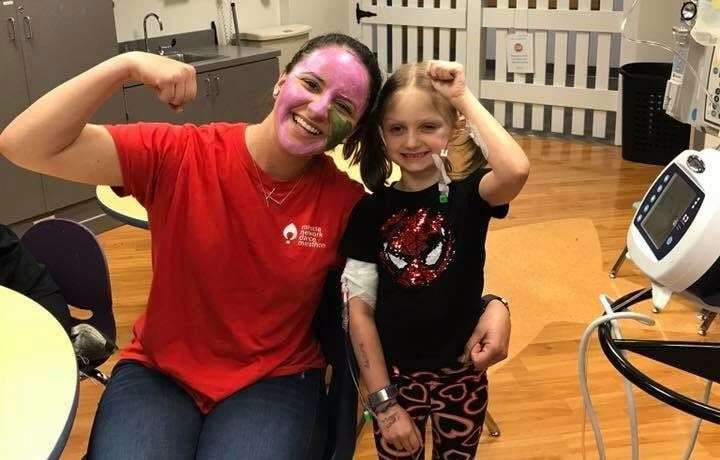 Getting to see exactly where and whom your efforts are benefitting makes it so worthwhile, from funding equipment, child life specialists, art therapy and medicine programs, and so much more. Dance Marathon is a family. A family that lifts you up when you’re down will support you no matter what and allows you to be your true yourself. You do not need to have a direct connection or involvement to the cause to make an impact. Any monetary value donated, no matter the amount, makes such a great impact. Without our fundraising efforts, we would not be able to supply all the equipment, programs, child life specialists etc. that help our miracle children and their families. Students who participate in Dance Marathon on their campus are able to physically make an impact in this cause. They can do this by spending time with our miracle children and putting on and attending events. But by donating, you are able to support their efforts in raising awareness and making that impact on this cause. All those who we benefit would not be attending school, celebrating their birthday, playing their favorite sport, or playing outside of the hospital walls without the support of our donors helping to fund the things that allow our miracle kids to see another day. Kat interacting with a patient at UF Health Shands Children’s Hospital. 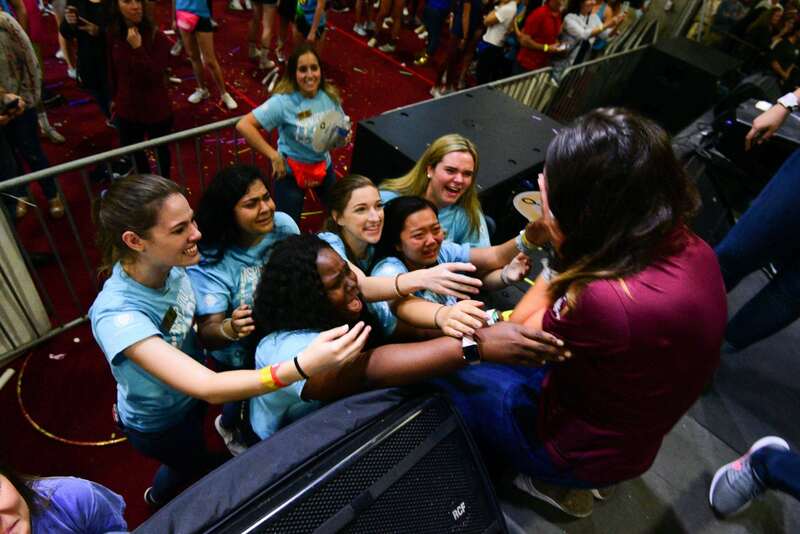 Kat posing with the DM at FSU alumni who came back for the Dance Marathon event in February 2018.